With Monsanto stepping up its genetically modified (GM) soybean program in Mexico, the conflict with honey-producers is escalating. If you dig a little deeper in this conflict, you’ll find that there’s more at stake than the direct damage that GM soybeans are doing to apiculture. This is a story of a conflict between an ancient and holistic view of the ecosystem as an interconnected system versus a capitalist model totally ignorant of the externalities and long-term linkages that exist in nature. Monsanto has a history of activity in Mexico’s soybean sector. For ten years (2000-2009) production took place under the status of ‘experimental’ stage. In 2010 and 2011, these plantations became a ‘pilot program’, giving them more legal flexibility. In February 2012, Monsanto Co. applied to further upgrade its Mexican soybean plantations, now occupying around 250 thousand ha, from the status of ‘pilot program‘ to ‘commercial’. The Biosafety Law describes the ‘Commercial liberation’ of GM organisms in Mexico as the introduction of these organisms “without adopting any containing measure […], realized with commercial, production, bioremediation, or industrial purposes, or for any other purpose different from an ‘experimental’ or ‘pilot program’”. Three months later, the Mexican Ministry of the Environment and Natural Resources issued a pronouncement allowing the commercial cultivation of transgenic soybean across the whole country. As a consequence, Monsanto’s project was upgraded. 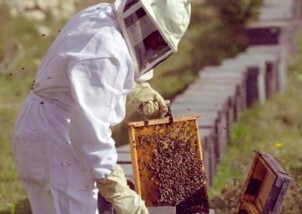 At the same time, Mexico has some 1.9 million beehives, cared for by 42 thousand beekeepers. They produce an annual average of 56 thousand tons of honey, with an estimated value of EUR 110 million. Honey is used in a variety of ways: as a sweetener for hot drinks, as the base for alcoholic drinks, and for its medical attributes. The Mayan (dark) bee-wax has also been a traditional resource: for religious rituals related to the agricultural harvest, ceremonies and decorations. Unfortunately, apiculture will be heavily affected by the rise of GM soybean production. The herbicide used for GM soybeans – glyphosate – goes far beyond the GM plantation area in which it is directly spread. This means glyphosate does not only kill weeds within these plantations, but affects every other species in contact with this herbicide, and every ecosystem resource and service depending on the well-being of these species. In this way, glyphosate has caused miscarriage, hypothyroidism, diabetes, birth malformations, and cancer in human populations living close to these plantations, according to scientific research done in Argentina. But an increasing number of academic researches have also documented what has been called ‘Sudden Beehive Death’, whereby whole colonies suddenly collapse because glyphosate produces homing failure inhibits the correct function of the bees ́ proboscis (tongue) for the nectar harvest (Henri et al., 2012). Some of the 42.000 beekeepers, civil organizations and companies against these plantations have now formed an activist organization called Sin Transgénicos. They are appealing the ruling from the Ministry of the Environment and are mobilizing in five different ways. 1) They filed an appeal against the government’s approval of this project, signed by 29 apiculture, peasant, environmental, human rights, and scientific organizations, and brought to every federal state of the Yucatan Peninsula and the state of Chiapas. 2) Members of the political network of Mayan apiculture and their allies have participated in meetings and workshops, which have taken place in Mexico City and in the YP to exchange information, findings, and experiences, as well as to design a common strategy to stop this project. 3) Sin Transgénicos organized a protest in seven Mayan ceremonial centres and one plantation in the YP. Around two thousand persons participated in this protest. 4) A petition signed by 660 scientists to reject this project was submitted. 5) News and opinion-articles have been published in local and national media. The honey production of the Mayan area in the YP accounts for 45% of the nation’s honey, 90% of which is exported to the European Union. But that figure is bound to go down. European honey buyers have in some cases completely stopped buying this honey, or have lowered the amount they are willing to pay, alleging YP honey has been ‘contaminated’ by transgenic pollen. They assert that what is being sold is ‘transgenic honey’ (and not “organic”, as their markets demands). But the worst part of this story is probably not the damage to international trade or financial gains in the apiculture sector. The worst part is that the Mexican Ministry of Environment is sanctioning the destruction of the environment. As any first-grader knows: bees are the main pollinators in nature and in the highly bio-diverse Yucatan Peninsula this is certainly the case. Take them away and you take the lifeblood out of an ecosystem.